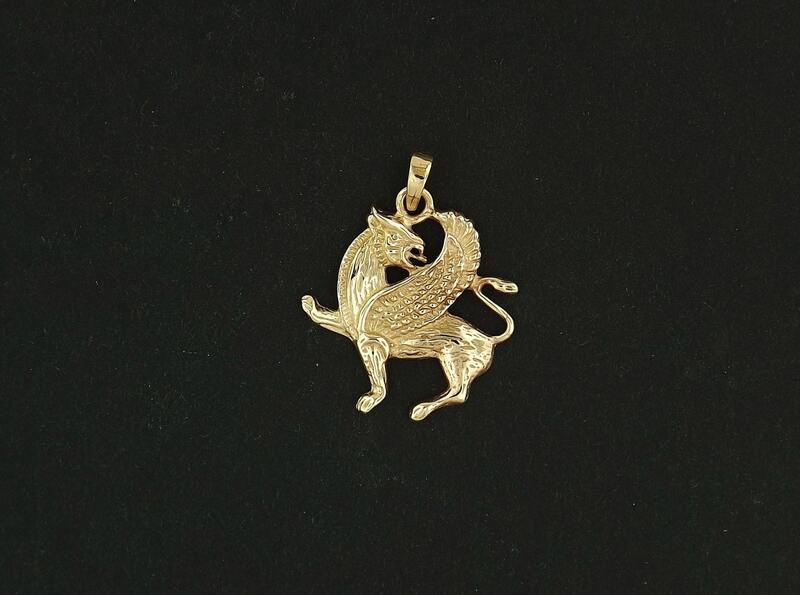 This handmade griffin pendant is made in antique bronze and is 3cm long and 2cm wide. It's a very solid piece that can easily be worn everyday. He's inspired by my love of fantasy, and is based on the Assyrian style with an eagle's head and a lion's body. This is exquisitely detailed and looks perfect on a 14k gold chain. A very good buy.